Debt proved to be the anchor that dragged down AMD, although the company’s long-term future seems bright as long as gamers keep buying new consoles. AMD reported a net loss of $36 million or 5 cents per share on revenue of $1.44 billion. Revenue climbed 24 percent, while AMD reported a wider loss of $56 million a quarter ago. Those results included debt payments of $49 million, which ate into AMD’s earnings; otherwise, the company would have reported a non-GAAP operating profit of $67 million. AMD’s efforts to secure wins in all three major game consoles continues to pay off. The company’s Graphics and Visual Solutions business reported a 141 percent increase in revenue from a year ago, driven by the semi-custom chips AMD builds for each console box. Otherwise, things weren’t so bright: Revenue in the Computing Solutions Group dropped 20 percent from a year ago, to $669 million, as microprocessor unit shipments declined. Specifically, notebook processor sales rose, while AMD sold fewer desktop processors and chipsets. Aside from the console revenue, GPU revenue declined as well, partially offset by a rise in chips sold into graphics workstations and add-on cards. 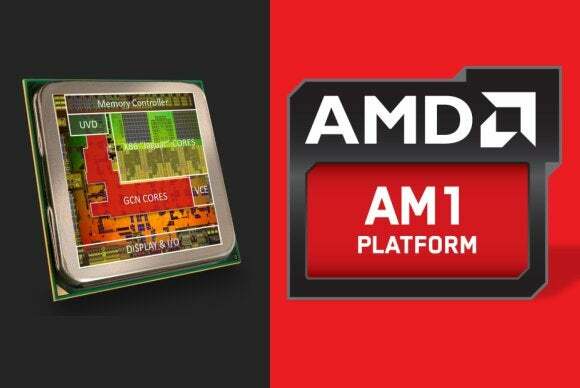 Analysts expected AMD to report earnings of three cents per share, on revenue of $1.44 billion. The company said it expects revenue to grow by 2 percent, but it also included 3 percentage points of wiggle room either wayfrom a 1 percent loss to a 5 percent increase.